Accepted: We’d like to get to know you! Where are you from? Where and what did you study as an undergrad? Where did you go for med school? What are some of your hobbies? Rishi: Howdy! I’m a Texan through and through having lived in Houston for practically my whole life. I finished high school a year early and decided to utilize a scholarship at Houston Baptist University to complete a double major in Chemistry and Biochemistry Molecular Biology over three years. I took a year off to teach MCAT courses and ultimately attended my dream medical school – Baylor College of Medicine. I see myself as a stereotypical nerd who enjoys computer games, programming, and absolutely anything tech-related! I also enjoy watching/playing basketball and investing in the stock market. Accepted: Where are you completing your residency, and what stage are you at? What specialty? Rishi: I’m about to begin my third year of anesthesiology residency at Baylor College of Medicine in the Texas Medical Center. Afterwards, I plan to pursue either one or two fellowships in cardiovascular anesthesia +/- critical care medicine. 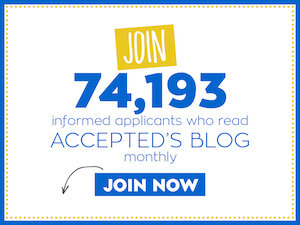 Accepted: What attracted you to anesthesiology? Rishi: The biggest draw about anesthesiology is having the ability to apply advanced physiology and pharmacology to every anesthetic I perform. Additionally, anesthesiologists can perform a myriad of procedures. For example, I had a recent call shift where I placed an arterial line, performed a emergent endotracheal intubation in the ICU, came back to the pre-op area and did femoral and sciatic peripheral nerve blocks, placed several intravenous lines using ultrasound, performed an epidural anesthetic, and ultimately placed a central venous catheter. It’s a field which requires quick thinking in critical situations and finesse with procedures. Another aspect which I’ve come to appreciate is that 100% of my attention is focused on the patient in front of me. I don’t have 20 patients to round on. I don’t spend eight hours talking about the diagnosis and treatment (a la internal medicine rounds). Instead, I’m the one immediately diagnosing problems, administering medications, and making adjustments to keep patients safe under the physiologic stress of surgery. Finally, my colleagues are incredibly bright and laid back! Residency is tough, but it’s a little easier to tolerate when the people around you are amiable. Accepted: What have been some of the challenging and rewarding aspects of your residency training so far? Rishi: The most challenging aspect of residency was easily the steep learning curve in the first month of anesthesia – learning to properly intubate, place lines, prioritize events, anticipate problems, diagnose and treat changes, etc. There are hundreds of small parts which sum into an efficient anesthetic, so learning how to best execute each one was initially a struggle. Looking back, it’s almost laughable how much I’ve matured in terms of knowledge base and skill set as an anesthesia provider. The most rewarding aspect of my training has easily been my commitment to patient safety. Circulating nurses are busy managing the operative flow. Surgeons and scrub techs are focused on the surgical goals of the case. Who is actually watching the patient? Your anesthesiologist! Accepted: From your blog, it seems like you have a variety of diverse interests (sports, tech, gaming, etc). How do you balance work/life as a resident? Rishi: Some of the more organized residents out there would likely say they have structured schedules incorporating recreational activities with their work loads. I’m not one of them, lol. I sort of let each day unfold depending on my mood. After a busy shift, I might just watch some sports, read, and then hit the sack early. Other days I’ll be doing laundry at midnight, grocery shopping at 6 AM, and playing video games in my PJs afterwards (always a kid at heart!) If there’s a big exam coming up, then my time will naturally shift towards preparing for it. 1. Be prepared to begin your real training. Medical school helped you learn the basics, but now you’re a doctor. Your colleagues and patients will be looking to you for answers. Serve them well. 2. Humility above all else. Medicine is filled with brilliant people with all sorts of incredible life experiences. Never let your accomplishments cloud your pursuit for selflessness. 3. Most importantly… remember what got you here. Your friends. Your family. Your hobbies and interests. Hold onto your past times and those who supported you. You can follow Rishi’s blog at RK.md. Thank you Rishi for sharing your story with us – we wish you the best of luck!